This research attempts to examine the ‘diplomatic’ role foreign correspondents play in covering art and culture in general and cultural diplomacy initiatives in particular, as well as highlight trends, challenges and opportunities. Foreign correspondents play a vital role in delivering current news from countries abroad to audiences back home. Given their task of communicating news that is relevant to the country they are hosted in and to the audiences they are writing for, foreign correspondents often contribute to the perception of foreign countries to publics. Despite this, however, research about foreign correspondents’ “impact on diplomatic practice is virtually non-existent” (Archetti, 2011). With the European Union in general and different European countries in particular maintaining a strong focus on cultural diplomacy initiatives, it is imperative to explore how foreign correspondents covering art and culture as well as those initiatives affect the perception of the European Union and its member states to audiences abroad. 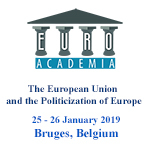 The following research question then is explored: How do foreign correspondents shape the image of a foreign country or a multinational institution such as the EU to home audiences, particularly through coverage of art and culture and cultural diplomacy activities? By interviewing forty journalists based in London, Brussels, Paris and Berlin, this research sheds light on the work of foreign correspondents regarding art and culture writing, the level of access they have to sources abroad and current trends of foreign appetite for stories regarding art and culture. Given the recent trends of the impact of financial limitations, advances in communications technology and social media on foreign correspondents’ work, this research highlights a greater understanding of the challenges facing correspondents – particularly those covering art and culture.